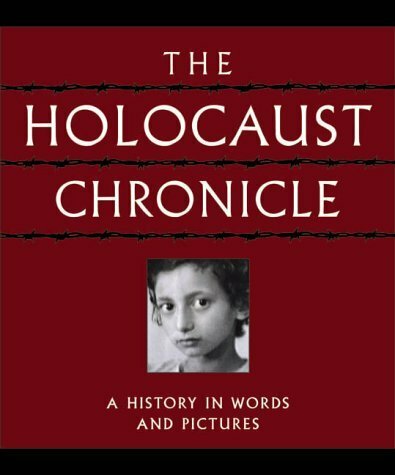 Opportunity finally presented itself to read noted Holocaust survivor Elie Wiesel's "Night," after hearing it mentioned by a well known Evangelical Pastor in a radio broadcast sermon. It is one of the more well known recorded accounts of that long nightmare, a short but graphic and powerful postmortem of one of the more infamous abominations to occur in the "enlightened," progressive twentieth century. The thing that impacted me most reading "Night," this through the prism of present-day Middle East history and politics, was the warnings ... the warnings. Not so much to the world, not even to the European community. In hindsight the lack of moral caliber and character, especially in Germany, had corrupted the populace beyond redemption sufficient enough to resist this assault on Western civilization. The collaboration with the Nazis in their demonic crimes by many of the nationalities in Europe during the Holocaust belied that depravity. What was amazing were the warnings to the Jews of Europe of the gathering storm, if not to Elie and his family right there in Sighet, Romania. Elie recalled "Moché the Beadle," a poor Hasidic Jew ambient to the local synagogue who he befriended and spent much time with in learning more varied and finer aspects of Jewish religion and culture. Then that one day the Hungarian police expelled all the foreign Jews from the town of Sighet, herding them onto a cattle train, across the Hungarian frontier, and into the custody of the Nazis in Poland. Moché returned alone a few months later, turning up on a bench outside the synagogue. He recounted his train trip to Elie and the other Jews, then the short journey on trucks to the nearby forest of Galicia, near Kolomaye, where they were forced to dig huge graves, and then all were systematically machine-gunned to death by the Germans. Moché had survived with just a bullet wound to the leg, taken for dead. He then escaped. No one took his story seriouslyincluding Elie. He was dismissed as a madman; an opportunist looking for pity and money. Then, even when it was too late, Elie and his family were on the cattle trains to Poland. He relates how one Jewish lady named Madame Schächter finally succumbs; perhaps possessed, screaming continually about a fire. "Fire! I can see a fire! I can see a fire! A terrible fire!" until the whole group's nerves are at the breaking point. They tried to silence her, to bind and muzzle her. Finally, at their last stopBirkenau, reception center for Auschwitzshe screams again one last time, "Jews, look! Look through the window! Flames! Look!" And they saw the flames belching from the chimneys' of the death camp. They were then forced out of the cars about midnight, the flames in front of them; the smell of burning flesh permeating the air. Out of the devastation of the Holocaust the modern day rebirth of the Jewish Nation on their historical land has transpired. 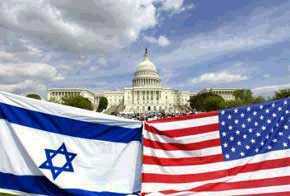 Yet, the Jews still do not live in peace. The global community represented in the UN and European Union (EU) still is by and large hostile towards them, this hostility increasing after a short "benevolent" honeymoon of "grace" to the Jewish nation, a futile attempt at absolution in the shadow of WWII. The corporate national guilt of living in the stolen houses and acquiring the property of those six million Jews killed among them was destined to catch up with and overtake them. What a macabre inheritance to leave your children. Now the Jews live in The Land surrounded on all sides by malevolent Arab enemies who continually threaten them with destruction, even after the Israelis have handily beat them in numerous self-defensive wars, some against impossible odds. Nazism lives on, now, ironically, with a swarthy face. 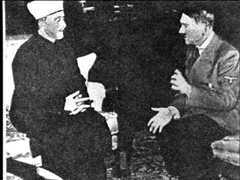 Arab collaboration and support for the Nazi agenda is well documented history. 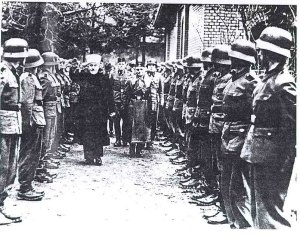 The Grand Mufti of Jerusalem's collaboration with Adolph Hitler and the Nazis is a matter of historical record. German Nazism and racial demogoguery was crushed by the Allies; it now lives on in its villain twin and Middle East ally. It is therefore incredible any aspect of the Jewish body politic would think the idea of viable negotiation or the granting of concessions to individuals and bodies sworn to their destruction is conceivable. The destruction of the Oslo warjust more dead Jewsis irrefutable evidence of that. Pressure and coercion on the Israeli government from the UN, the EU, or even a vacillating ally in the elements of corporate America who are even now facing the reality of substantial economic competition in the Middle East from EU commercial and financial forces, is to be challenged from a historical background on moral grounds. Not succumbed to. It is the Israeli government's responsibility to protect their citizens in the long-term, not acquiescing to short term pressure to degrade their national security measures from elements ultimately hostile to their nation. Yasser Arafat, an Egyptian, a known terrorist and murderer, is lauded at the UN as a statesman, and the PLO, employing propaganda techniques learned from the North Vietnamese and Viet Cong, are esteemed as heroes and freedom fighters by extremist leftist groups and ideologues. The carefully constructed myth of "Palestinian" nationalism has penetrated mainstream media and Marxist/Leninist controlled universities and cultural institutions in the West. The Arabs continue their overt campaign of bloody attrition against the Jewish state, with very little consequences or backlash in global forums. It is incomprehensible. The darkness of 1940-44 encroaches again. The Israelis, rightful heirs to the "West Bank" (Samaria/Judea) and Gaza, in self-defensive operations, both offensive and static, are continually portrayed as aggressors, occupiers and tyrants; urged and pressured to "show restraint" when the bombers kill innocent civilians by the hundreds, yet condemned when they execute carefully controlled operations to target terrorist infrastructure and leaderseven build a wall in a peaceful attempt to keep these psycho killers out. And now, pundits and European rabble posing as academics are issuing pompous calls for "... the end of Jewish sovereignty in Israel and the reinstitution of an international mandate like that of the League of Nations." Indeed, the honeymoon is over. 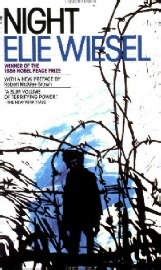 Elie Weisel remarks in his 1986 Nobel Peace Prize acceptance speech, "... I have tried to keep memory alive ... I have tried to fight those who would forget. Because if we forget, we are guilty, we are accomplices." Yet, we have forgotten; certainly, the world has forgotten. Completely forgotten. The charade in Ramallah tolerated daily demonstrates that. A copy of Wiesel's "Night" should be dropped on the desk of every member of the Knesset, the Likudand Ariel Sharon, as a fresh warning. The fires of Arab hatred which are daily stoked against Israel by Arab leaders, for decades, show no prospect of subduing, dismantled settlements or not. 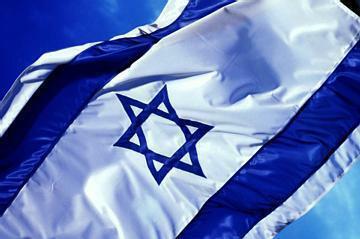 The Israeli leadership needs to listen anew. No matter what they do or say, the world will berate and criticize, because everyday the ulterior purposes and rank hypocrisy of the global community are exposed, as well as the treacherous designs of Israel's "partners in peace." The Jews were all but abandoned in the face of the scorching European Jew-hate of the 1940's. We are all still fettered with the naiveté of that era if we think it cannot happen again, especially in our "enlightened" times. The warnings of another encroaching night are plainly mirrored again in so much of contemporary history, especially in the Middle East and European Union. We are allJew or Gentilecollaborators and accomplices if we shrink from this reality, and evil directed against the Jewish people in Israel once more takes its predictable course unopposed. "The Warnings Of 'Night'" copyright © 2004 Michael A. Baker.